The BMW i8 Rental can only be described as a vision of the future. The body of this car looks almost like it comes straight from a science fiction movie. It is sleek, smooth, and seems to practically one piece without any seams. That vision of the future continues once you look inside the car as well. The engine is an advanced hybrid engine that allows for up to 22 miles of electric only driving and offers outstanding fuel mileage when engaged in hybrid driving mode. 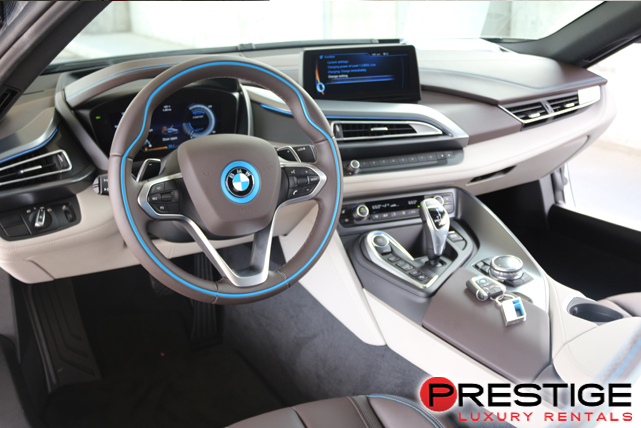 Additionally, the BMW i8 Rental has built in navigation with up-to-date weather information, driver assistance systems that include side and rear cameras, and the ability to remotely operate various systems using an iPhone. Finally, BMW does not skimp on performance. This vehicle has a remarkably fast 3.8 second sprint time. 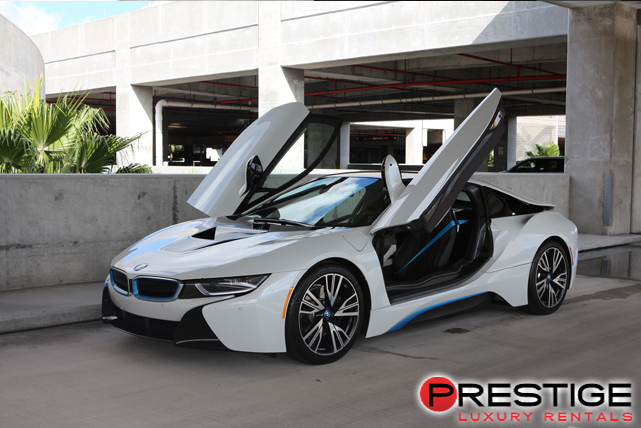 If you want an ideal vacation rental, rent a BMW i8 from Exotic Car Rental Miami. 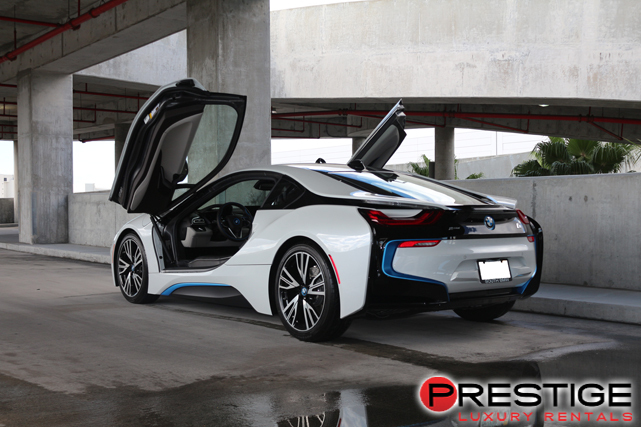 Between the cameras and fully electric driving, it allows for easy and convenient exploration of downtown Miami. 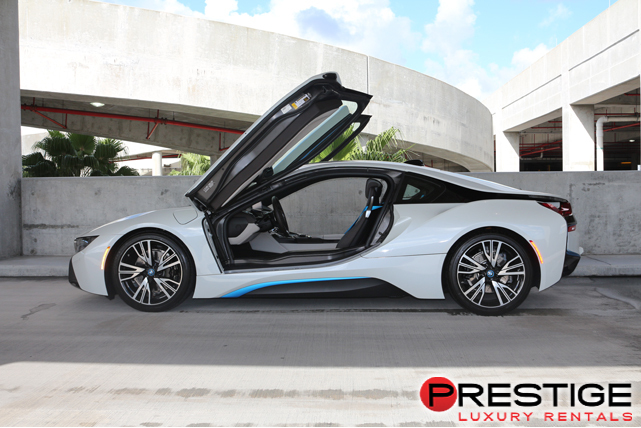 Additionally, the stunningly gorgeous exterior will turn heads while driving down Biscayne Blvd or when arriving at Lummus Beach. It is simply a versatile car that is fun to drive, safe to drive, and convenient to drive while on vacation.